Background. 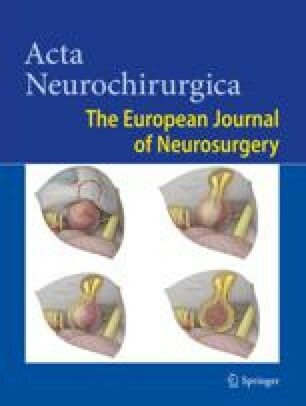 A retrospective analysis of 20 cases of tuberculum sella meningioma with emphasis on the surgical technique and visual outcome. Methods. Between 2003 and 2006 twenty patients with tuberculum and diaphragma sella meningioma were treated at the Tel Aviv medical center. There were 17 females and 3 males. The age range was 28–83. Most patients presented with visual deterioration. Surgery was performed using the subfrontal approach. The visual function before and after surgery was evaluated as the main outcome parameter of the surgical treatment of these tumours. Findings. In 16 patients complete tumour resection was achieved and in 4 subtotal removal was performed. Visual acuity improved in 32% of the eyes and deterioration was observed in two eyes (5%). Visual field improved in 28% of the eyes and deteriorated in 14%. There was no complete vision loss as a result of surgery. There was no mortality in our series. Conclusions. Tuberculum and diaphragma sella meningioma can be safely resected using the subfrontal approach with preservation and even improvement of visual function after surgery. Early surgery with better pre-operation visual function and smaller tumour size were associated with a better outcome. Keywords: Tuberculum sella; meningioma; surgical technique; visual outcome.